Girl With The Flaxen Hair and Golliwog s Cakewalk are two of Claude Debussy s most popular piano works. 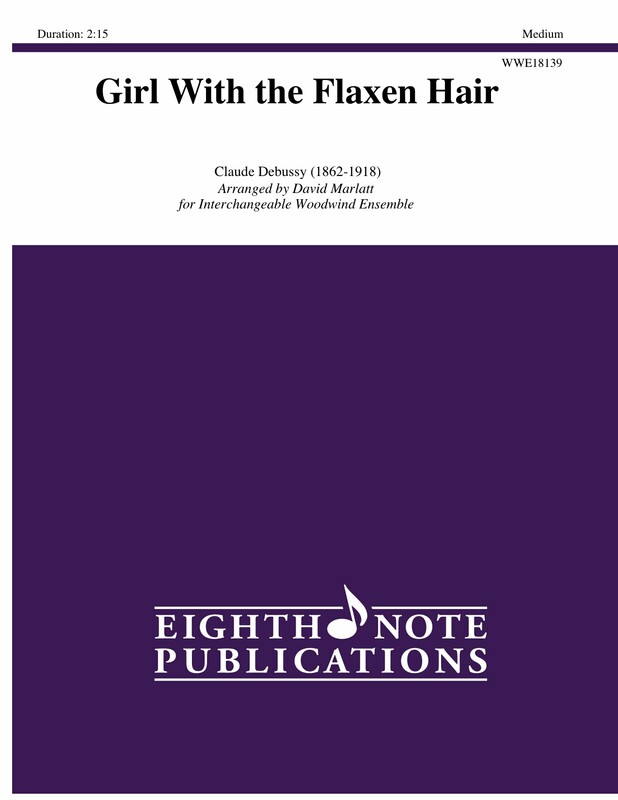 It has been said that Girl With The Flaxen Hair, with its impressionistic and progressive harmonies, may have been a significant influence for many jazz artists of the century. This is an arrangement for interchangeable woodwind ensemble.